See what other people have said about the book and the author. The Duke of Marlborough’s father, uncle and grandfather are in the story through their connection to Alfred G. Vanderbilt, whose cousin Consuelo married the Duke's grandfather. 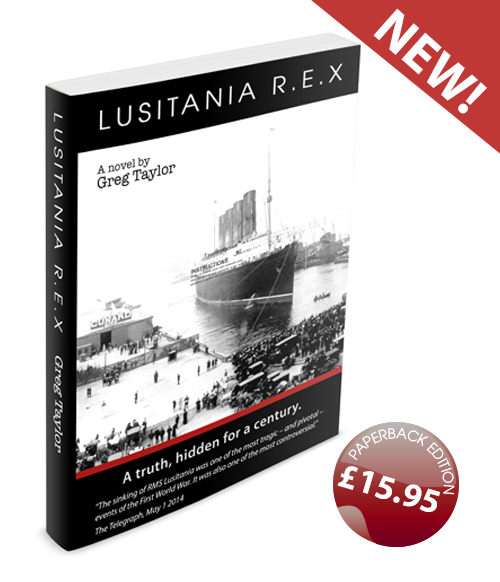 Author Greg Taylor and his story LUSITANIA R.E.X have already caught the attention of the media. See what has been in the press so far and listen to an interview with the author. There are many topics of interest related to the tale of the Lusitania. The newsletter of the website provides additional information on a range of topics that feature in the story.